2. In 1997, a poacher named Vladimir Markov wounded a tiger and stole part of its kill. The tiger found the poacher's cabin, destroyed his belongings, waited at least half a day for him to return, then killed and ate him. 3. Mr. Rogers made Friday the 13th less scary for children by naming the puppet who ruled the Neighborhood of Make-Believe “King Friday XIII (13th)” and regardless of the month or frequency, every Friday the 13th was celebrated as King Friday’s birthday. 4. American game show host Bob Barker plans to die broke after giving all his money to animal foundations and rescues. 5. Dreams are thought to strip memories of emotion. According to the theory, this function fails in sufferers of PTSD. Recurring nightmares might, therefore, be a repeated attempt at performing this function. 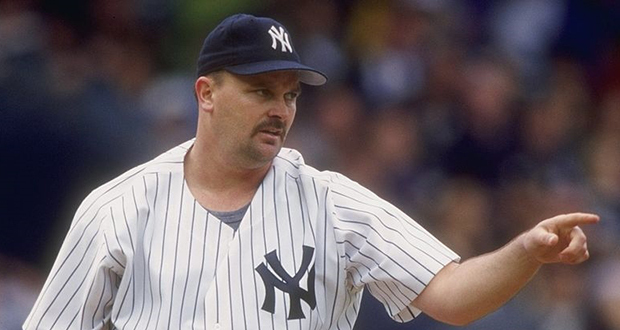 New York Yankee's pitcher David Wells once stayed out all night partying until the next morning. While hung-over he pitched a perfect game, retiring all 27 batters he faced marking the 15th perfect game in MLB history. 7. Wu-Tang Clan member Gza is a science nerd and has spoken at Harvard and hosted a Physics lecture at MIT. 8. The writers of “Parks and Recreation” had no idea Nick Offerman was a skilled saxophone player when they wrote the Duke Silver plot line. 9. Neil Armstrong went to the North Pole with Sir Edmund Hillary (first to climb Mount Everest) and other prominent explorers. He said that he was curious to see it from the ground since he'd only seen it from space. 10. Republicans are called the right, and Democrats are called the left, because of seating arrangements of various legislative parties in France in the late 1700’s. Supporters of the king sat on the right of the Speaker, and supporters of the revolution on the left. Having the guts to fight used to mean soldiers being diarrhea-free, and thus being able to participate in the battle. 12. Before his death, author Robert Louis Stevenson gifted his friend's daughter his own birthday. The daughter had been born on Christmas and complained she felt like she had no real birthday. 13. Kryptonite was introduced in the Superman story five years after the comic was first published. It was created as a way to give Clayton Collyer, the actor that played Superman/Clark Kent in the radio show, some time off so he could take a vacation. 15. The US military developed a set of playing cards with the names and faces of the most wanted members of Saddam Hussein's government on them so that the American troops would learn to recognize them while playing cards. American actor Matthew Lillard originally screamed until his voice went hoarse and scratchy to achieve his voice for Shaggy in Scooby Doo. He even did it in his car before his audition at Warner Bros in Los Angeles. 17. A Black Robin named Old Blue has become the mother of her entire species when she was the last fertile female in a group of 5 Robins. There are now 250 Black Robins on the Chatham Islands and have raised their status from Critically Endangered to Endangered. 18. Due to China’s early discovery and love of ceramics they didn’t produce any glass between the 14th-19th century. This meant they didn’t have mirrors and windows etc, leaving them behind in sciences, as they didn’t make lenses and other things fundamental to science. 19. In 2005, a mountaineer named Ricardo Peña found a wallet in the Andes mountain range that belonged to a person named Eduardo Strauch who was involved in a plane crash in 1972. When he realized that Eduardo had survived the crash, he returned the wallet, more than 30 years after the crash. 20. A Dutch bike company named Vanmoof prints televisions on their boxes and this has reduced shipping damages by 70-80%. On the 12th of September 1897, 21 Sikh soldiers held their own against 10000 enemy tribesmen at the battle of Saragarhi, killing 180 and buying enough time for the nearby British fort to prepare and suppress the insurrection. All 21 were given the Indian Order Of Merit. 22. Actor Michael Keaton got his start in show business as a production assistant on Mister Rogers' Neighborhood. He helped with the puppets and ran the trolley. 23. Terry Crews received a scholarship to attend the Interlochen Center for the Arts in Michigan, a prestigious art school. His first job in entertainment was drawing courtroom sketches for the worst murder case in Flint, Michigan history. The murderer who had killed six people was also named Terry. 24. Tom Cruise turned down the lead roll in The Shawshank Redemption because it was the director's first feature film. 25. In 2014, a Florida woman named Hien Tran lay in intensive care after a car accident, when the investigators were searching for clues due to apparent stab wounds in her neck. A week after she died, a letter arrived from Honda urging her to get her red Accord fixed, because of the faulty airbags that were prone to explode.